White tea, the most delicate of all types, offers a great base for floral infusions and subtle fruit-flavored compositions. 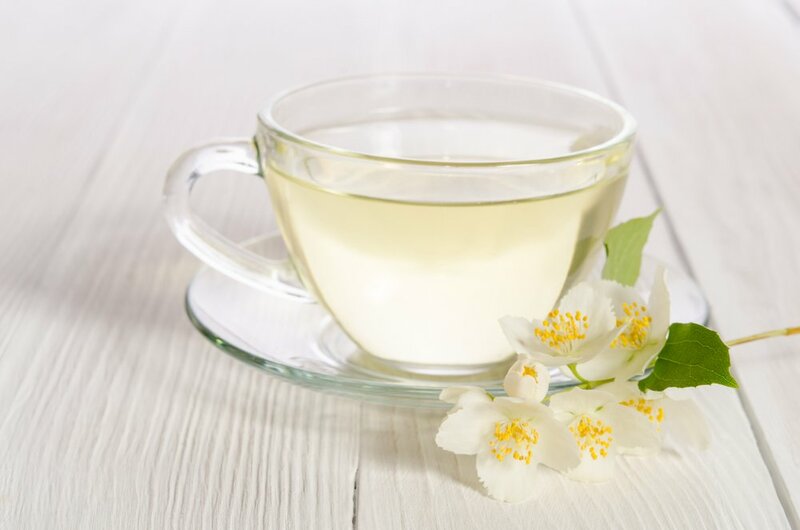 Jasmine white tea is traditionally produced in China by mixing jasmine blossoms with fresh tea. Young tea leave readily absorb floral scent and preserve balanced natural aroma. Modern flavored teas are made by mixing tea base with essential oils, dried fruits, and spices. White tea, apple pieces and natural pear flavor. Premium white tea from Fujian region of China infused with the taste of ripe pears. Warm and sugary aroma, like a freshly baked pear, with a pear skin crisp finish. Wonderfully smooth and rounded, perfect hot or iced.